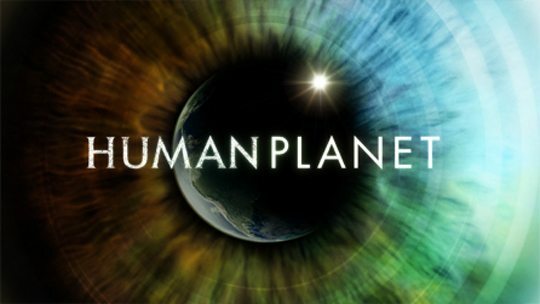 BBC Productions has done it again with an astoundingly lavish and jaw dropping production entitled Human Planet. Following in the footsteps of the hugely popular Planet Earth and Blue Planet, Human Planet turns the camera back on us, framing the human race in various natural environments. The first episode, Oceans, is one that many surfers might be interested in. The hour long installment follows groups of people in various locations as they attempt to eke out a living, surviving by doing the most interesting and incredible things. One of the most amazing parts of the series was the story of the Filipino tube divers. About 30-40 men dive down with an individual tube that looks like a garden hose, each of which are connected to a single pump generator on the boat that looks like it’s about one step away from breaking down completely. On deck, men are furiously trying to sort the hoses so they don’t get tangled. It looks like an absolutely insane practice, but they do it just to earn a meager living. Another astounding story was of the fishermen who work with dolphins to round up schools of fish, and the diver who free dives and hunts on the seafloor for minutes at a time in one breath. The inclusion of surfers in this episode ranges from the beginnings of surfing in ancient Hawaii to the modern day sport of big wave riding. It’s a spectacular display of humans mastering their natural environment. Some viewers, especially ocean lovers, might be startled at the depiction of various hunting methods, such as the tribe in Indonesia hunting a sperm whale. However, when put into context, these people absolutely need this food to survive. They aren’t cruelly hunting whales for monetary gain, and instead overfishing they take what they need and don’t waste a single scrap from whale. In this case I think it’s an interesting look at how humans survived (and still do) before the industrial food industry took hunting away from the public eye. Practices such as these are examples of sustainable fishing methods, and should not be attacked. The major problem facing our oceans is industrial overfishing. Each episode focuses on a different natural environment; Oceans, Deserts, Rivers, and so on, totaling eight in all. One thing that must be said about this series is that the imagery and footage is absolutely beautiful. At the end of each episode you’re taken behind the scenes to see how the filmmakers got their shots. In some cases it’s just as amazing as the objects they are filming, and the dedication of these crews to get the footage is something to be admired. If you can get your hands on the Blu Ray version and have the appropriate equipment on which to watch it, I highly recommend it. Even without the Blue Ray high definition, the series is still crisp and clear on regular DVD. I was a little skeptical about the series at first, wondering what sort of stance the show would take on how humans interact with their environments. My concerns were allayed, however, once I saw that the stories the show depicted were some of the most amazing and interesting practices I’d ever seen. Most of these stories are things that you won’t even know occurred. In a world of Facebook and Twitter, it’s astounding to see tribes that still cross miles over the desert just to find water, and gather together for a festival they wait years for–just to put on a dance and win a lover (watch the Deserts episode). Sometimes it’s good to take a look beyond our own culture to see a simpler way of life, and realize that our worries are so trivial compared to the life or death worries that some people face every day. I also encourage ocean lovers to check out the Blue Planet series, which explores the amazing diversity of life that’s found in our planet’s oceans and seas.